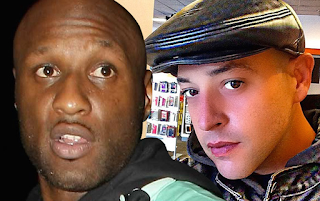 Lamar Odom's best friend Jamie Sangouthai dead from a heroine overdose. Jamie Sangouthai, best friend of Lamar Odom, has reportedly passed away of a heroine overdose at age 37. In a very sad Instagram post, Malika Haqq remembered Sangouthai saying, “Thru good and bad times life shows us every spirit matters and leaves a print on the hearts of others after they have passed… RIP Jamie Sangouthai #GodHelpUsAll” Sangouthai and Odom had been friends since their younger days playing basketball together in New York, and remained close throughout Sangouthai’s illness, as well as his stint in a rest and rehabilitation retreat.